This creative novelty fun blend is something to try, if your a BACON fan. The flavors picked might seem strange, but I have chosen them over trying other bacon teas, in the past. The caramel/apple/smokey flavors is like smoked apple glazed bacon in chocolate. Chocolate Covered BACONTime for BACON! 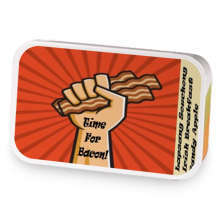 Chocolate Covered BACON has hooked up with Time for BACON!. 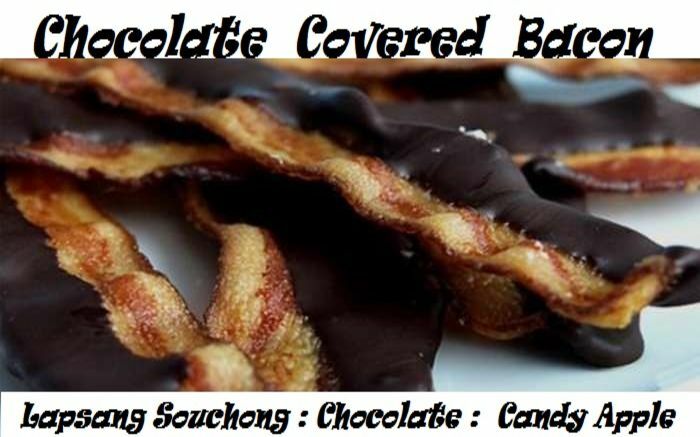 Love Chocolate Covered BACON? This is just one of 2 teas in this fandom. Check out the whole series.